At this stage of life, toddler messes have become a fairly frequent visitor to our home. Day after day, week after week, I find myself constantly sweeping the floors to keep the crumbs and messes minimized in the wake of our toddlers! 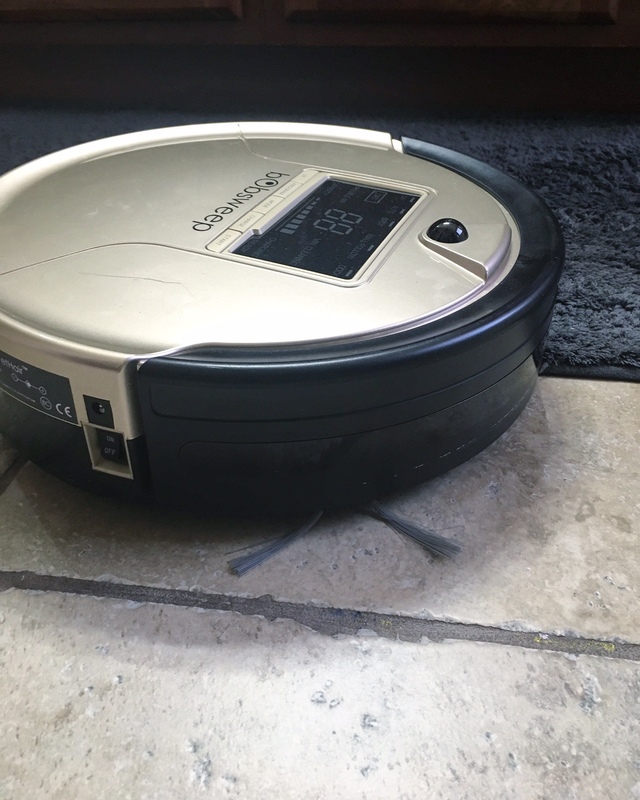 After considering the ridiculous amounts of time invested into sweeping, I thought I’d give one of those fancy robotic vacuums a try. I decided to go with the bObsweep PetHair, because if it can handle pet hair, it can surely handle the messes of my kids! 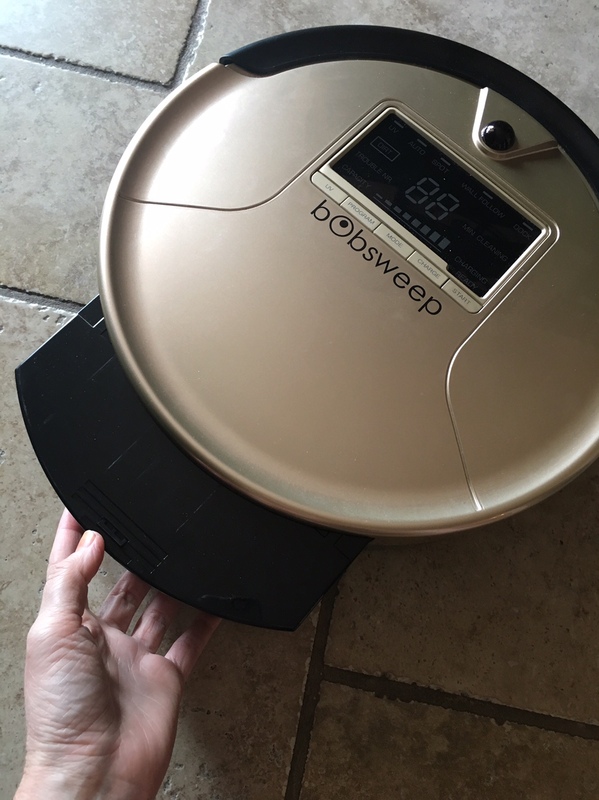 Now don’t get me wrong, I was a little skeptical about a robotic vacuum, but the bObsweep PetHair, AKA Bob, swept away my fears. 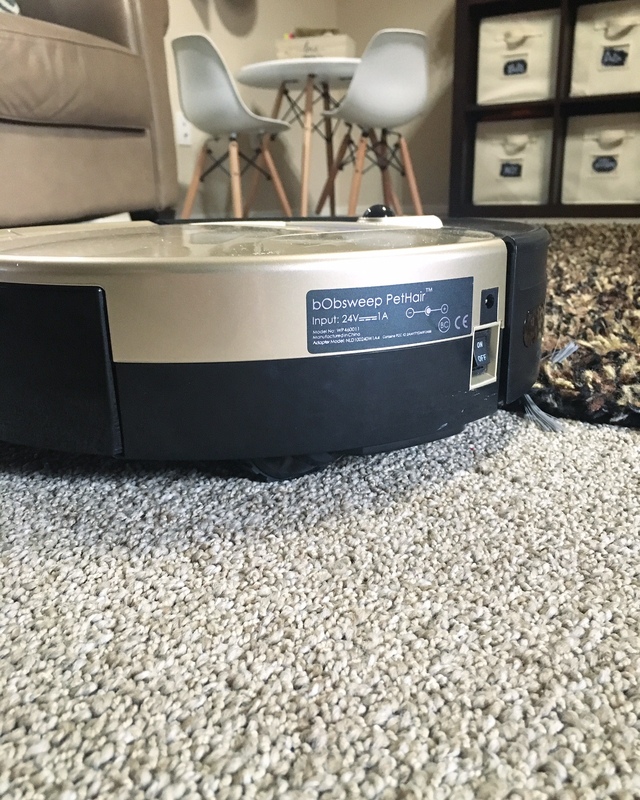 This vacuum has become a lifesaver for me as a mom with two small kiddos at home. Every day I have it cycle through the kitchen, family room, and play room to pick up all of their crumbs and messes from the kids meals and play dough adventures. It is easy to use and oh-so helpful, I can’t believe I didn’t get one sooner! 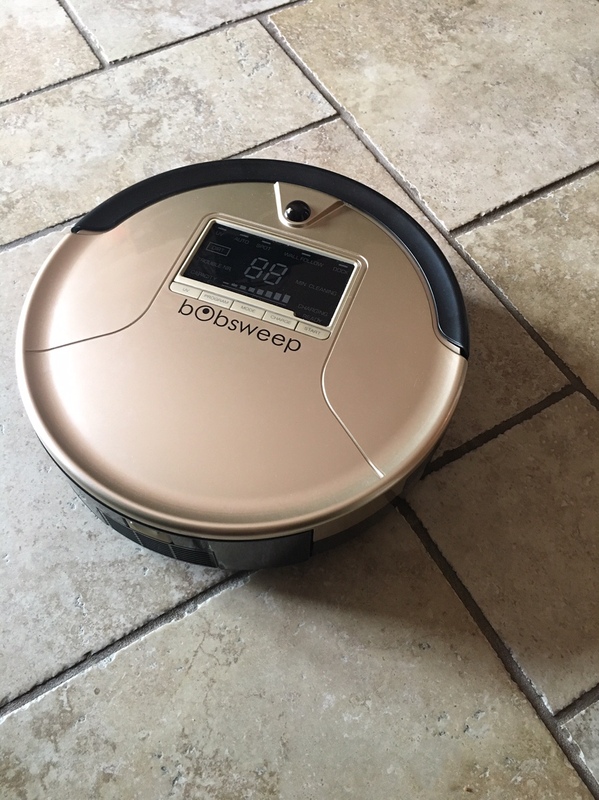 This post is in partnership with bObsweep. All thoughts and opinions are 100% my own. Thank you for supporting the brands that help make Espresso Ever After possible. When our bObsweep PetHair arrived the girls fell in love with it and my 2 year, who can’t pronounce her words yet, named it “B-Bop”… toddler translation: Robot. My 4 year old thought it was hilarious, and so it stuck… B-Bop was here to stay! Being married to a Veterinarian, my husband suggested we go with the bObsweep PetHair version. When I asked him why, he said “If it can handle pet hair, it can handle our kids.” And right he was! 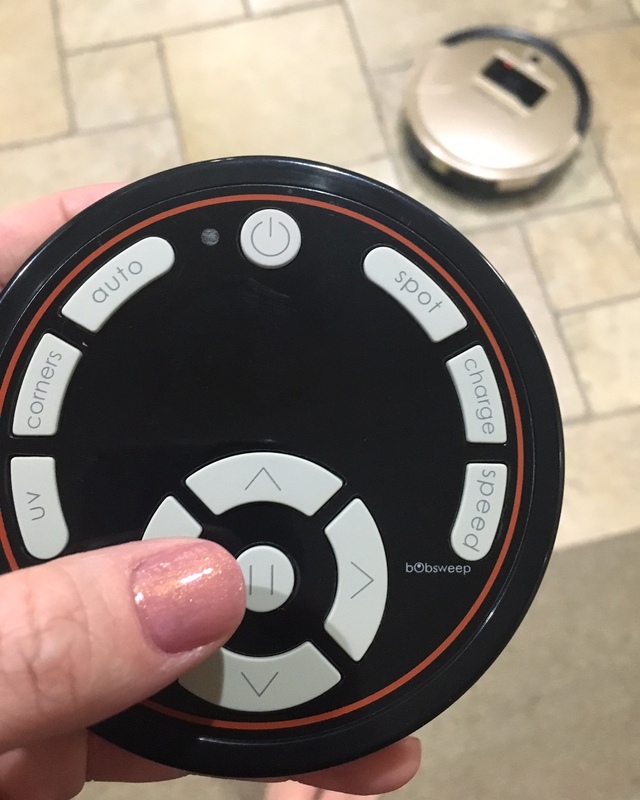 B-Bop even came with a remote control that allows you to set it to a specific start time or set it to a specific cleaning mode (robotic, autopilot, quick clean, touch up, manual override). I love how B-Bop can detect people or items in it’s way and will quickly defer to a new direction if needed, thanks to his extra fancy built-in self navigation system. So rest assured, B-bop will not damage your furniture, himself, or your toes! 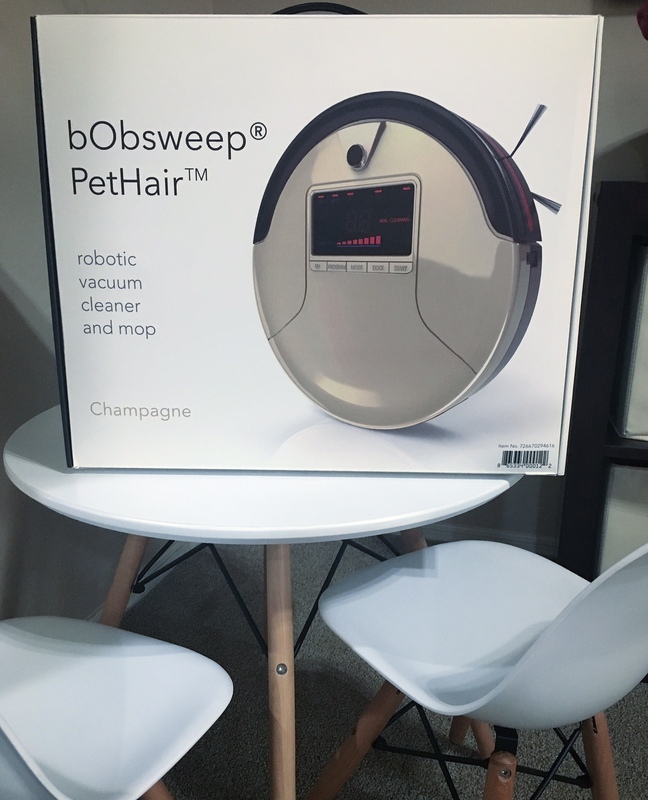 bObsweep PetHair is only 11.5 centimetres high and fits under all of our beds and cabinets, so we love that he can sashay around and pick up dust we didn’t even know existed! B-Bop is one smart little machine. B-Bop quietly travels through our home and sweeps up messes for me, and I love it! It’s smart enough to navigate our house and avoid common “hang ups” (rugs, furniture, toys, etc). I love that I can release B-Bop to travel around the house and do his thing, while I remain focused on our busy life without having to stop and tell him what to do. B-Bop is both independent and productive… a momma’s best friend! I no longer have to get the broom out or the big bulky vacuum to pick up goldfish crumbs after snacktime. If you are a mom with small kids, you know what I mean! ~The bObsweep PetHair can pick up and hold more dirt than any other robotic vacuums in its 1,000 ml dustbin which means it doesn’t need to be cleaned as often. The parts are easy to remove and clean, keeping this vacuum extremely low maintenance. 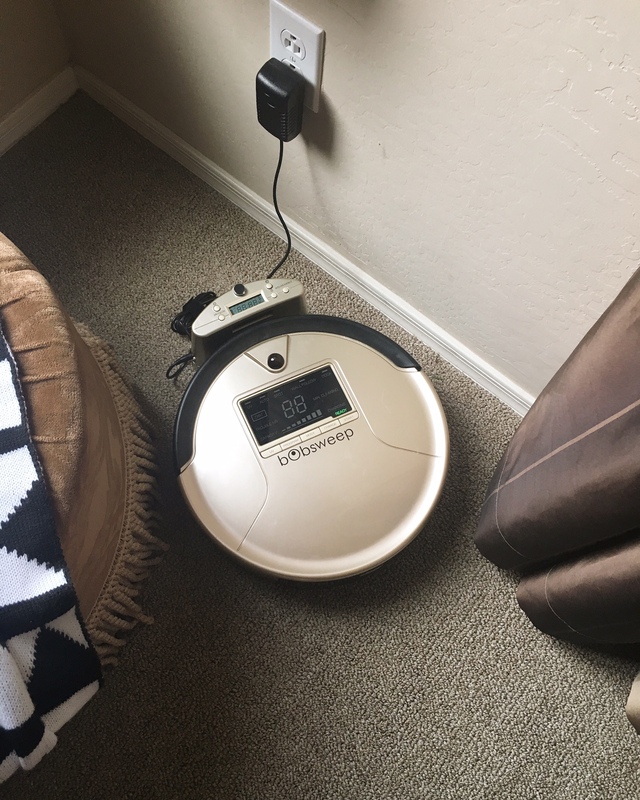 ~Quieter than other robotic vacuums, we have our bObsweep PetHair on a cleaning schedule and sometimes we don’t even notice him sweeping around our home. My favorite is scheduling him to clean when we are out, so we can walk into a clean home when we return! ~bObsweep PetHair is designed to recharge himself when he runs out of juice. As soon as he feels tired and he knows he is running out of charge, he glides to his charge-up station. After a short nap, he’s ready to start cleaning the floors again! As my girls like to say, “Time for his nap, he needs to recharge!”… Now if they’d only believe that for themselves! ~bObsweep PetHair also has the ability to clean all kinds of surfaces. In our home he switches between tile, rugs and carpet with ease. ~Built-In Self Navigation System – This protects your bObsweep and your home. I love that we don’t have to worry about him adding any more damage to our baseboards… we have kids for that! ~Good news – bObsweep PetHair comes in two fabulous colors: Champagne & Rouge. I have the Champagne bObSweep PetHair and we love that he blends into our tan flooring. 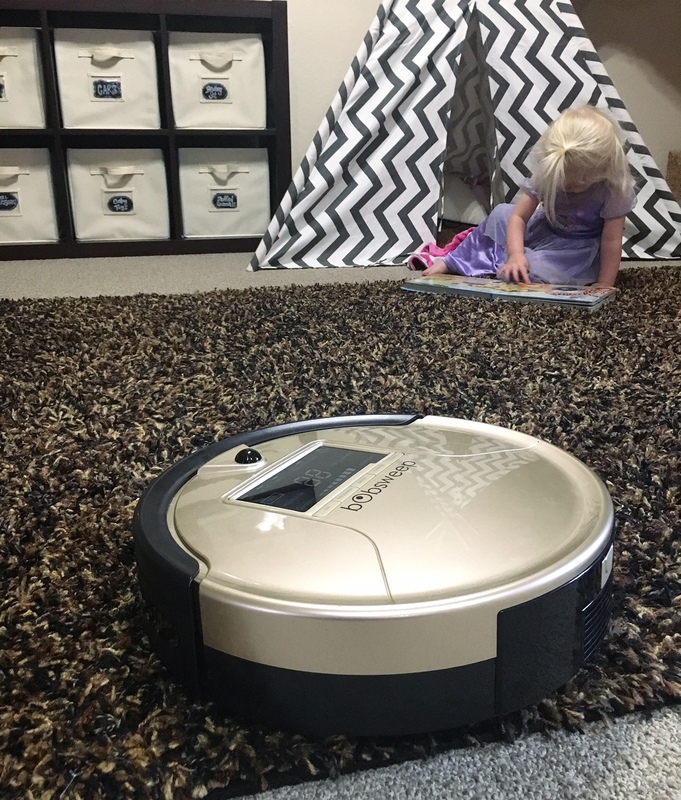 ~bObsweep offers 6 different robotic vacuum options, click HERE to select the machine that fits you and your families needs best. I don’t know about you, but cleaning up ALL THE TIME gets old… real fast. I am so grateful to our helpful B-Bop, he is the perfect addition to our family. But, don’t just take my word for it, give him a try and I promise you, too, will be swept away! You will not miss cleaning up your crumb-filled floors anymore! Because ‘aint no body got time for that! 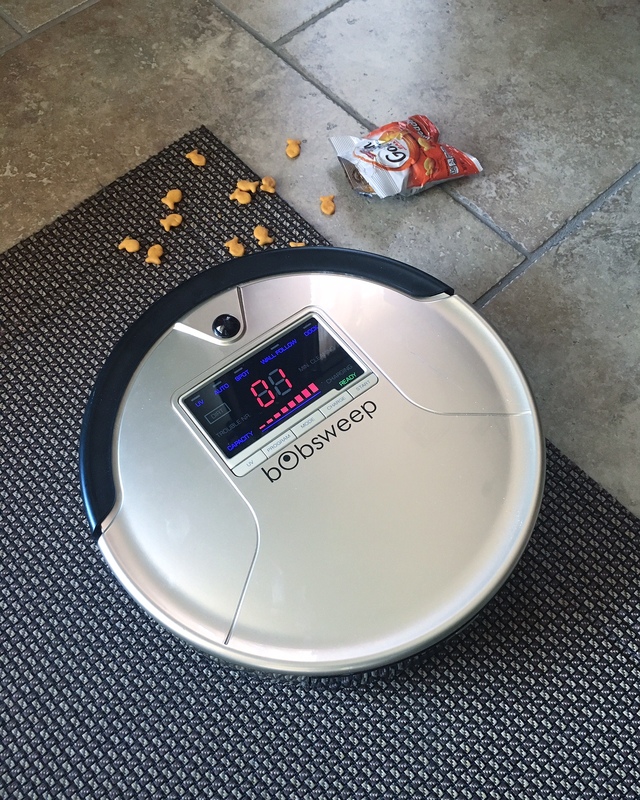 Are you ready to let bObsweep work hard for you??? I am obsessed with my bObi!!! She has been a life saver to me! It is a bonus item I never knew I would love so much! That’s so awesome! Best gift for me! Best gift EVER! Mom’s best friend!